Gavin loves to jump on his trampoline and go to the Georgia Aquarium. His mother says, "He just melts my heart. All he has to do is make eye contact with me and I can't help but smile!" For awhile there was not much that was making this family smile. At 18 months Gavin repeatedly failed his hearing tests. After each test, professionals assured his parents Brooke and Steve that it was not autism. Deep down, Brooke just knew that wasn't true! She took Gavin to see several psychologists who all also believed he was not autistic, but conceded he might have another form of Pervasive Developmental Disorder. By age three, Gavin's language skills had completely deteriorated to the point that he rarely even made eye contact with anyone. 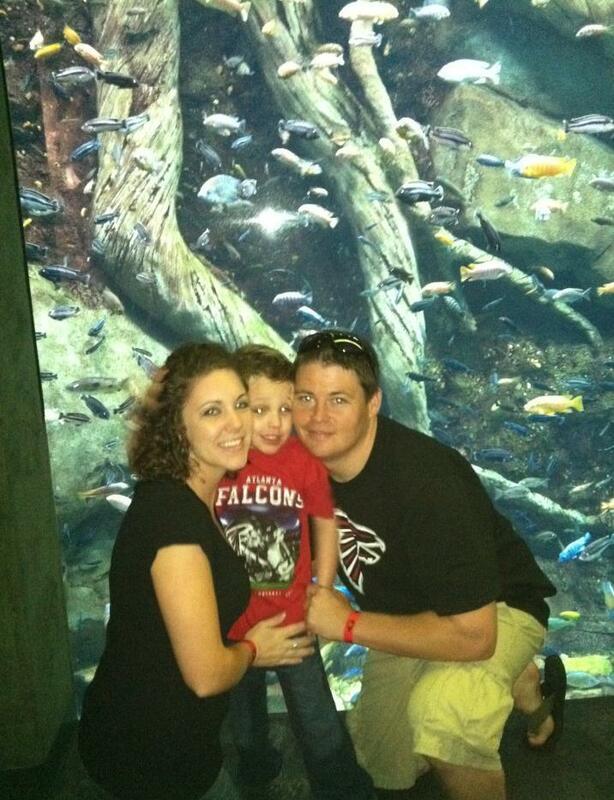 That's when Brooke and Steve took their son to Atlanta's Marcus Autism Center for an assessment, where it was confirmed that indeed he was autistic. Brooke describes that day as the worst of her life: "I cried for days and eventually gained 30 pounds from depression. I refused to talk about it with anyone! Emotionally I was experiencing everything from denial to anger..."
Despite feeling overwhelmed, Brooke and Steve were determined to find the best resources available for their son. In order to better address his developmental needs, they left home and family in southern Georgia, relocated to Griffin, about an hour south of Atlanta, and enrolled him a special private school. Although tuition was expensive, they knew early intervention was imperative. Thankfully, Steve found a new job rather quickly while Brooke continued to look for work. Between monthly expenses and tuition, things were tight, but manageable. Meanwhile, for Gavin's language needs, Brook and Steve once again turned to Marcus. Due to high demand, however, it took three years for him to be accepted for a six month program at their renowned Language and Learning Center. As Brooke made the daily, exhausting 136-mile commute, gas costs began putting a serious strain on the family's finances. Because of your donations, Just Heart Foundation was able to customize a grant that eased this family's financial burdens. Since the monthly cost of gasoline was comparable to their mortgage payment, Just Heart offset these costs by paying their mortgage for six months, thus freeing up cash for fuel. Gavin has received the immediate attention he needed, and his parents were able to avoid having their finances spiral out of control. Gavin continues to make strides in his development. He has a long road ahead, but because of caring donors and dedicated parents who refuse to give up on him, everyone at Just Heart can't help but smile either!